Removing the fork and stem from your bicycle isn't a professional task. With a little bit of elbow grease, you can easily swap out a new stem or a new fork without cutting cables or calling upon your local bike professionals. The standard system for bicycles is a threadless stem and fork, which replaces the threaded stems of older bikes. Changing a threadless stem and fork requires a set of hex wrenches and nothing else; you won't need to remove your headset to complete a swap. 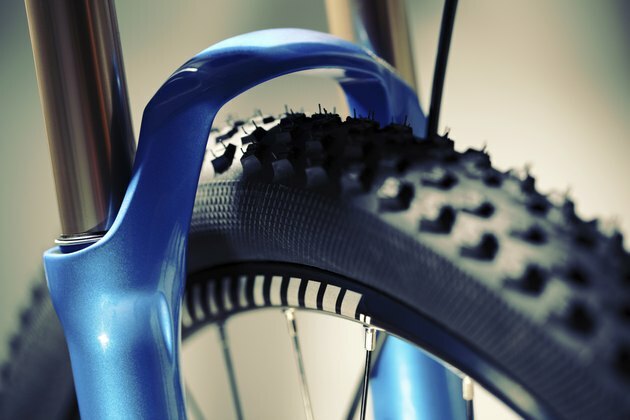 If you're replacing a fork, make sure it's the right size for your frame and wheel and that you have compatible brakes before you start the swap. Remove the front wheel from the fork. With quick-release skewers, the wheel will freely drop away once you loosen the release. Next, disconnect your rim brakes by removing one end of the cable from the brake mechanism. You don't need to cut the cable to remove it. Remove the brakes from your front fork. For V-brakes, there are two forward-facing hex bolts located a few inches down from the headset on either side of the fork. Caliper brakes attach to a single point above the wheel. Loosen the hex bolt and slide the bolt and brake mechanism off the mount for either brake design. You don't need to detach the cable. Disc brakes are attached to the fork near the axle of your wheel with hex bolts and are easy to remove. Loosen the four hex bolts that connect the handlebar to the stem. Loosen these bolts a few turns at a time, switching bolts to keep the tension even until all four are loose and the handlebar rotates freely. Loosen the bolts the rest of the way and remove the handlebar from the stem entirely. You don't need to detach any cables, but you may want to tie your handlebar to your frame to keep it from twisting or pulling the cables. Loosen the hex bolt that secures the headset top cap. This bolt isn't under a lot of tension and should be easy to remove. Once the top cap is removed, slide off the spacers above the stem. Loosen the two hex bolts that clamp the stem to the steering tube. Once you've loosened these bolts slightly, your stem and the remaining spacers should slide up and off the steering tube. You can now slide the entire fork out of the headset by pulling down on the fork. As you remove bolts and spacers, place them on a sheet of paper numbered in the order you'll need to put them back on. This ensures all your bolts and spacers go back where they belong. When tightening your new stem to the handlebars and steering tube, take your time and make sure everything is properly aligned and tightened securely. Having loose handlebars can be incredibly dangerous during a ride. Tighten the bolts that connect the handlebar to your stem evenly until tension is distributed across all four and the handlebar is completely secure.